Disney has unveiled a new iPad application and physical toy range designed to help bring their retail toy business to life using Apple’s iPad. 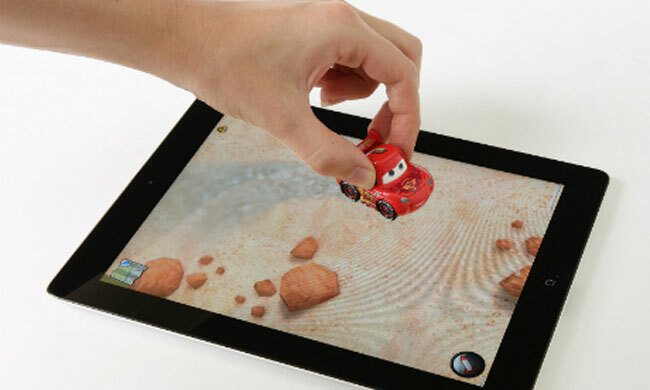 The new interactive Disney Appmates enable children to use their favourite Disney characters in the form of physical plastic toys, in conjunction with Disney iPad apps. As shown in the image below. 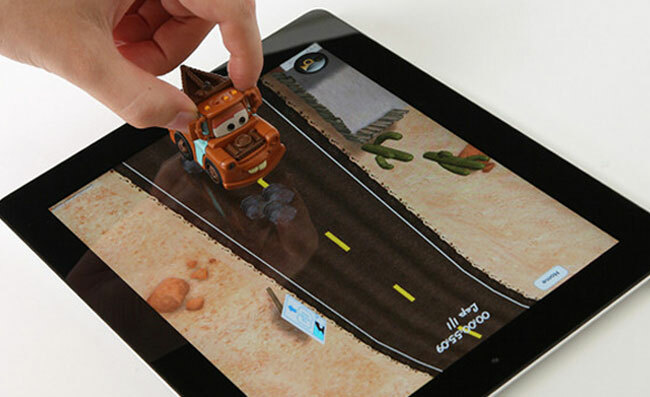 Each toy is fitted with a unique touch footprint underneath, that the iPad touchscreen can recognise, enabling the iPad app to tell which car is sitting on top of it. The iPad application can then tailor the experience to that toy. Currently the line-up includes: Lightning McQueen, Tow Mater, Finn McMissile, and Holley Shiftwell. Two additional characters – Francesco Bernoulli and Shu Todoroki will launch in November. 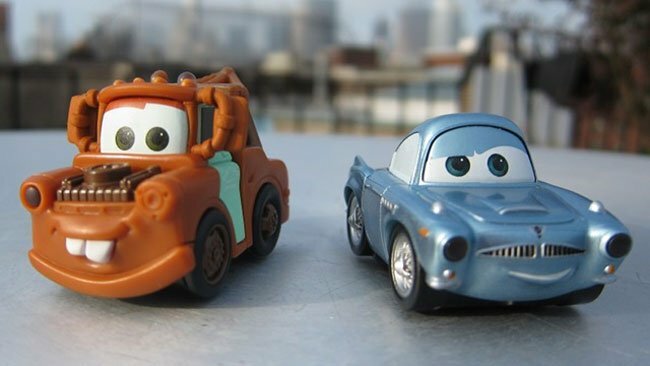 The products and apps will launch on October 1st costing around $20 for two cars and will be available from Retail Disney Stores and online at DisneyStore.com. The iPad app will be available as a free download for the iTunes App Store.